The Wisconsin Early Mustangers are a Ford Enthusiasts Club in Southeastern Wisconsin. Dedicated to the Preservation, Restoration and Enjoyment of Mustangs and other Ford Vehicles. Welcome club members!!! Take a look at the club calendar loaded with all our fun activities throughout the year. Please come out and join in the fun. Having a good time in great cars with great people is what it is all about. If you would like to join the club... please download our Membership Form, or if you need to Renew Your Membership click here. Club meetings are held on the last Monday of the month (except February, May and December) at WaterStone Bank 6560 S 27th Street, at 7 PM, but watch the newsletter for any changes about the November planning meeting. Local Ford/Mustang related information and issues, club calendar, club flyers, free member car related ads in the classifieds, etc. 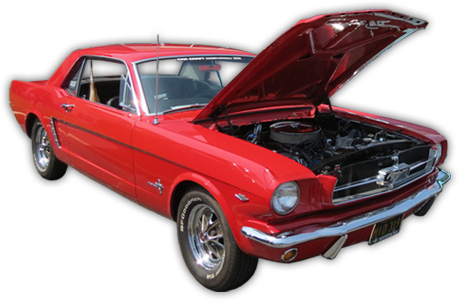 A chance to show off your Mustang, and members get to sell car related items at our club swap area for free. For information on how to become a member, contact us now.